This dedicated plug-in allows saving images of VMware virtual machines. 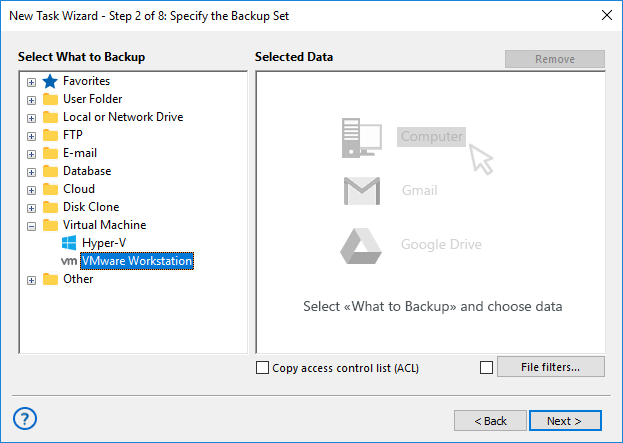 In this chapter, we are describing how to backup VMware images from outside using the plug-in. Open Handy Backup, call a New Task Wizard and create a new backup task on the Step 1. 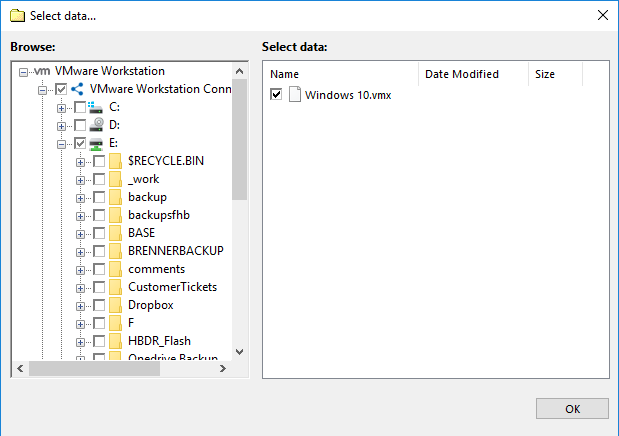 On the Step 2, click onto the "VMware Workstation" data source from the "Virtual Machine" group on the left panel. Select the "Create a connection…" option by double-clicking on it. In a new dialog window, select either a "Hot" mode (without stopping a virtual machine) or an "Enable suspend" mode (with stopping a VM to take a perfect snapshot). Then click OK. In a new window, mark checkboxes against names of particular VMware workstation instances. Proceed the task creation as usual. Open a New Task Wizard. Select the "Restore" task type on the Step 1, then click "Next". 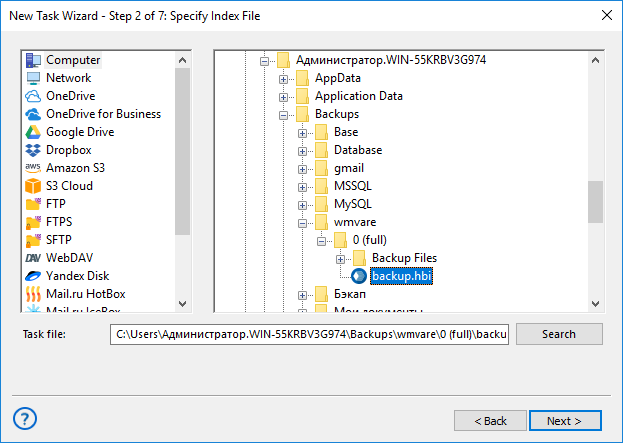 On the Step 2, search for the index file (backup.hbi) located in the storage folder. Select the file mentioned above, and then click the "Next" button. 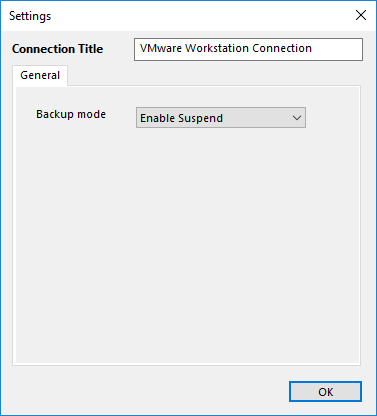 Attention: Do not click the "Change Location" button on the restoration dialog – it would not work for VMware workstations. Skip all next steps of a restoration task wizard by clicking the "Next" button on each step, until you will give your task a name and complete creating your task. When starting VMware restoration, the plug-in firstly stops all running instances of VMware virtual machines and all Windows services relating to these instances. Then the plug-in copies VMware backup images to their original locations, and restarts the services it stop earlier.